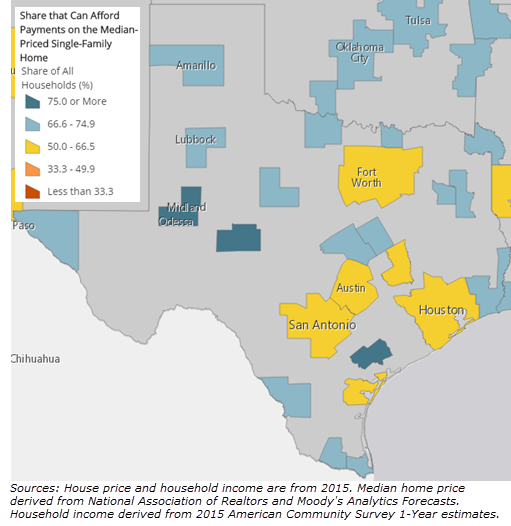 ​ ​HOUSTON AREA – Home prices have increased nearly 30 percent since 2000 and 3.6 percent since their peak in the fall of 2006, according to new data released June 16, 2017 by the Joint Center for Housing Studies at Harvard University. On a local level, Houstonians are feeling strained as home prices have soared amid pent-up demand and tight supplies. Houston-area home sales surged last month, spiking 11.5 percent from a year ago, the Houston Association of Realtors reported on June 13, 2017. The region's median sales price hit an all-time high of $235,000. See the Joint Center for Housing Studies at Harvard University's The State of The Nation's Housing 2017​. Also don't forget to check out Houston's Housing Market Research.